On March 1st a mysterious new video was uploaded to YouTube. At first glance it seemed to be just another 3D fan engine, but upon further inspection I realized it was so much more. Project Hero as the fans have dubbed it, features gameplay that seamlessly combines core elements from the classic, dreamcast and modern eras alike. 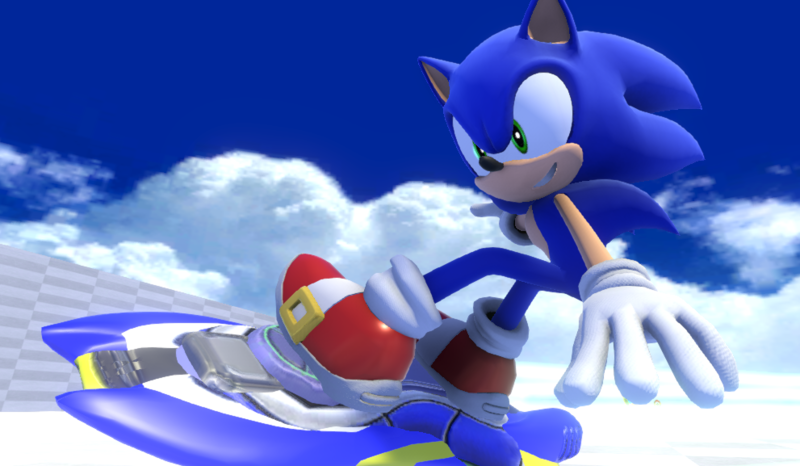 Moves like the Spin Dash, Drop Dash, Super Peel Out, Homing Attack, and Boost are all present. Concepts such as rolling, smooth turning, and tricks have returned as well, with an intense focus on momentum based physics. It’s an impressive piece of work, one I’d go as far to regard as the best 3D Sonic to date. We recently sat down with Hero, the man behind the project, to discuss his latest work. You can read all that and more after the jump. To start off, how would you describe this project? For now, I’d describe Project Hero as a Sonic fan game attempting to build a somewhat fresh gameplay style for Sonic, by mixing and matching abilities, mechanics and techniques from previous games in the series. You can clearly see it in the form of emphasis on momentum from the Classic era, the tight movement inspired by the Dreamcast/Adventure era, and the rather large arsenal of skills and movement options as seen in games of the Modern era. The aim of Project Hero is to deliver fresh and ,hopefully, fun 3D Sonic gameplay and to test how Sonic’s different gameplay styles can or could compliment each other. Initially, how did the concept for Project Hero come about? There are a lot of Sonic fan games and physics/gameplay engines out there. Some get major praise from the community, some don’t, and others just end up fading and never seeing the light of day again. I’ve been witness to this phenomenon ever since I became a Sonic fan, and, since then, I’ve been wondering how far I would get if I were to try developing my own fan project, either by myself or in a team. My desire to do so rose significantly when Sonic Mania was revealed to be developed by the fans themselves. And thus, development on Project Hero started shortly after I finished Sonic Mania. While developing the engine, what have you found to be most challenging? 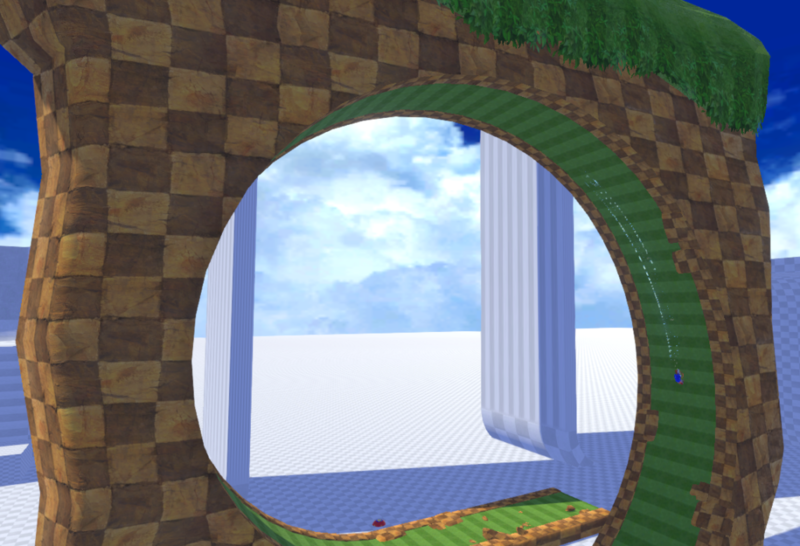 That would probably be the implementation of tight yet smooth steering for Sonic’s general 3D movement, mainly due to the amount of time I spent on it and because of the initial formula producing snappy movement and lacking any definition of a turning arc. What’s your favorite game in the franchise, and does it have any influence on this project? My favorite Sonic game is Sonic Mania, just because it’s probably the most fun I’ve ever had playing a Sonic game. As I said earlier, Sonic Mania did encourage me to make my own fan game, so it’s one of the reasons for Project Hero’s existence. As for the actual game, Sonic has a Drop Dash – inspired by Mania, of course. And that’s all I got! Thank you Hero for taking the time to talk with us. Anything you’d like to say before we finish off? Unfortunately, I will not attend this year’s SAGE (Sonic Amateur Games Expo). However, I am planning to upload a larger-scale progress video during said event, so stay tuned! In the meantime, enjoy some preview screenshots.